Keeping your home looking fresh can sometimes feel like a full-time job. This is especially true when considering soft furnishings and household fabrics. • Is the material durable? • Is it resistant to stains? • Are there any protective coatings available to increase the product’s lifespan? • Has the fabric been pre-shrunk? • Is the product resistant to sun fading? • Are there easy-to-follow care instructions included? It’s often hard to know when your décor choices have outstayed their welcome, so Terry’s Fabrics have created a handy guide to help you keep track. We’ve covered everything from sofas to bathroom essentials – read on to learn more. 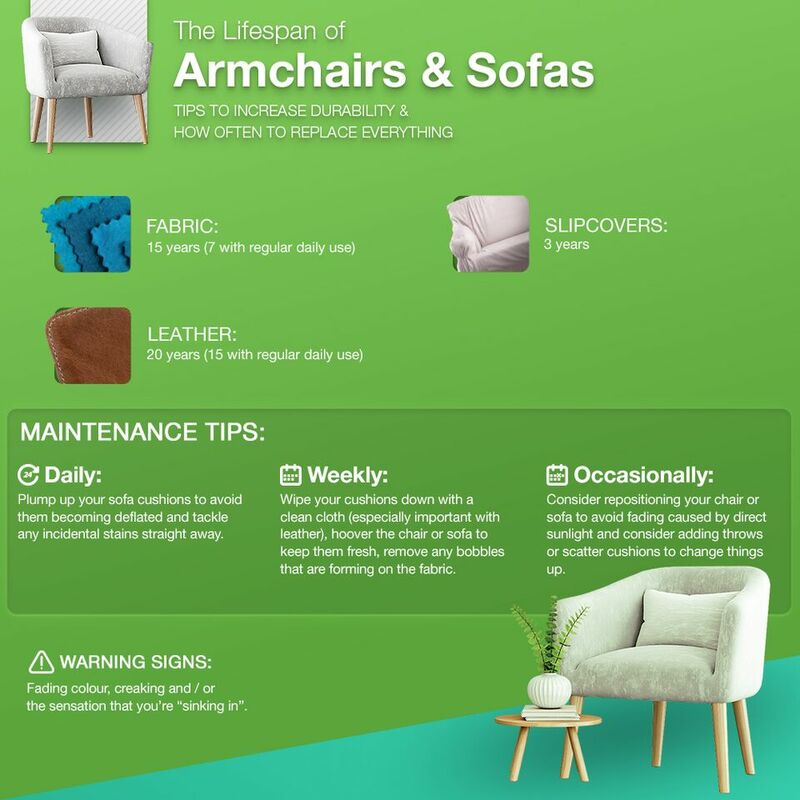 It’s important to be aware of the lifespan of your soft furnishings and when the optimum time to replace them is, to avoid your home looking run down. 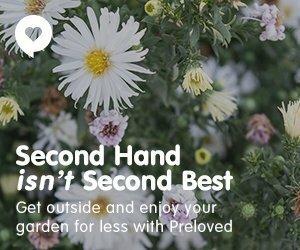 While this will depend from product to product, our guide gives you an average overview to bear in mind when purchasing new items for your home, as well as ways in which you can keep them in great condition for longer. Sofas and armchairs are a crucial home comfort. However, as they’re likely to see frequent use, it’s important to bear these tips in mind. 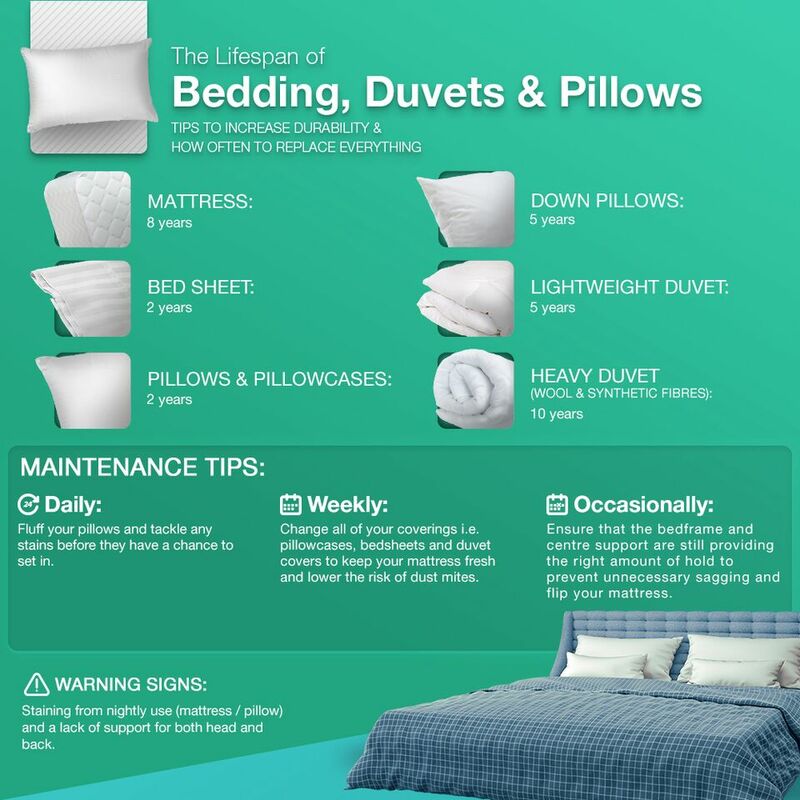 From mattresses and pillows to duvets and bed sheets, read on to find out how to keep them in great shape and maximise their lifespan. 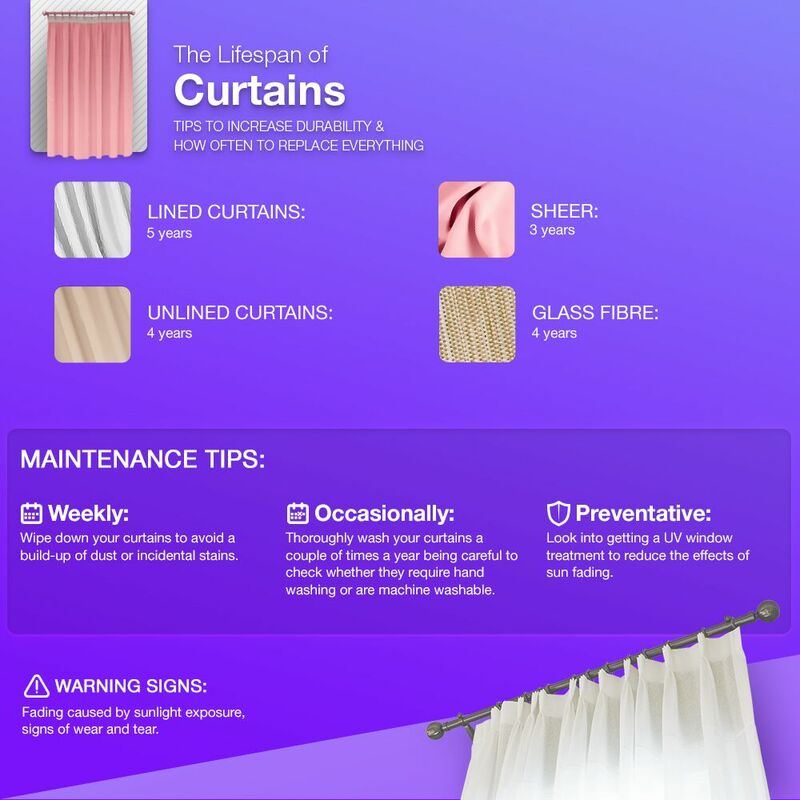 Minimise UV damage and get the most out of your curtains with our comprehensive care guide. 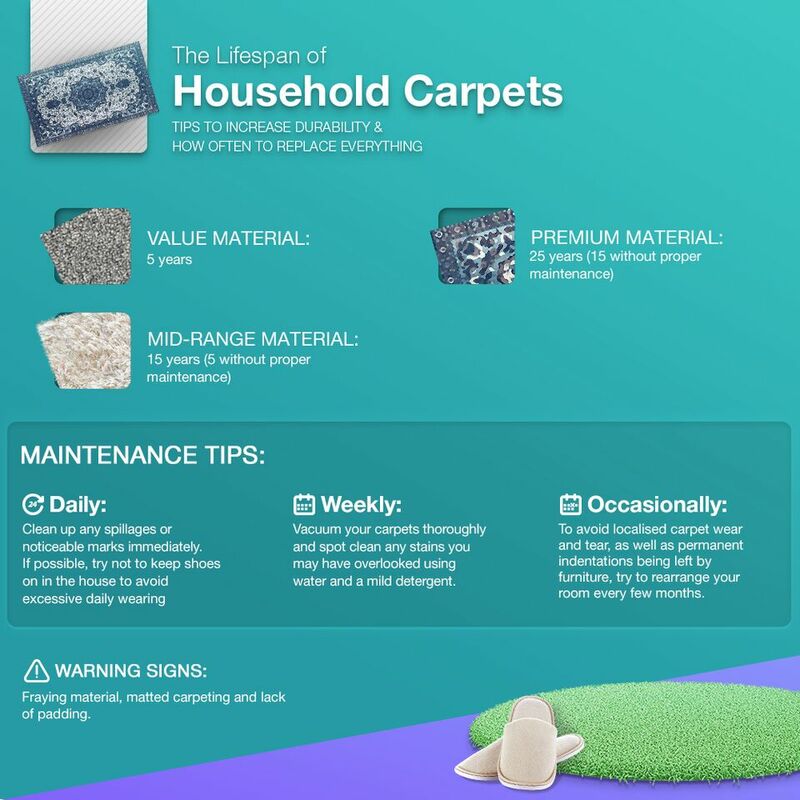 You may not be able to avoid foot traffic on your household carpets, but there are steps you can take to ensure you’re getting your money’s worth. 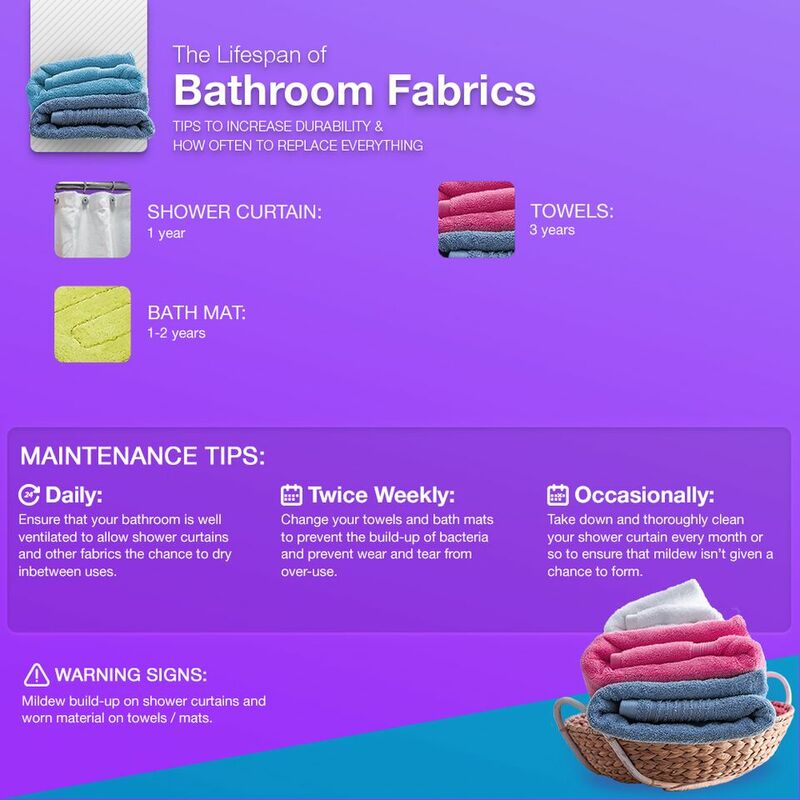 While they’re designed to withstand general wear and tear, follow our bathroom fabrics advice to get even longer out of your items. 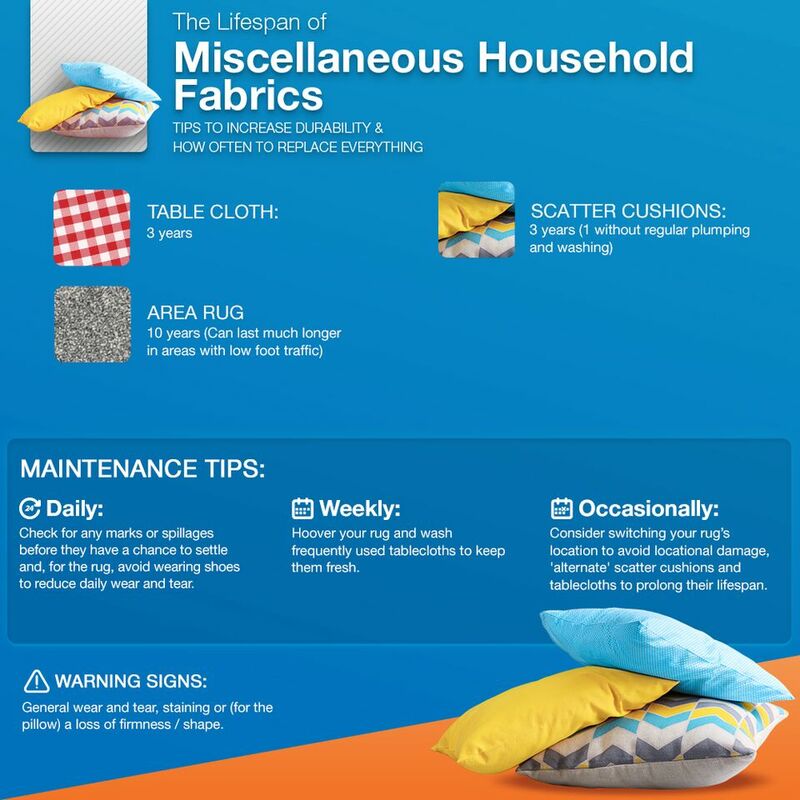 Care for your miscellaneous fabric products like scatter cushions, rugs and tablecloths properly by taking these precautions. Hopefully, this guide will help you out next time you’re buying some snazzy new soft furnishings. Please note that these are just recommendations and you may find that yours last longer (or not quite as long with frequent use). Proper care always helps extend the utility and aesthetic properties household textiles. For more information on bringing some much-needed life into your home and a range of other topics including how to bring luck into your living space and whether we know enough before buying a house, visit the Terrys Fabrics blog.